In this guide, we will teach how to pass the West Virginia permit test as well as provide you with step-by-step instructions on how to get your permit and ultimately your unrestricted license. Getting a West Virginia driver’s license means earning the freedom to explore the open road, something most teens are pretty excited about. However, the application process can sometimes get a bit confusing. If you’re ready to learn how to drive but aren’t sure how to get started, you’re in luck: Our simple and easy-to-understand guide will walk you through every step of the process. West Virginia, like most states, requires that all young drivers complete a Graduated Driver’s License Program (GDL), a multi-stage process that will help you learn important driving skills while remaining under the supervision of a licensed driver. Your birth certificate, Social Security card and two proofs of residency (parent’s utility bill, credit-card bill, school enrollment card). Now, you will be given the permit test. Stay focused and try to remember everything you have studied. The questions will be multiple choice, so if you get stuck, you should be able to use logic to look for the correct answer. When you pass the written test, you will also be given a vision test to make sure you can see well enough to drive. If you wear glasses or contact lenses, make sure you have them with you. Get Some Behind the Wheel Practice While holding your Instruction Permit, you must complete at least 50 hours of practice driving under the supervision of a licensed driver age 21 or older. Of those hours, 10 must take place at night. Drive with any unrelated passengers under the age of 20 for the first six months or more than one passenger under the age of 20 in the second six months. Drive between 10 p.m. and 5 a.m. except for work, a school activity, a church activity or an emergency situation. Drive while using a cell phone or other electronic device. When you are 17 years old and have held your Intermediate License for a full year without any violations, you are eligible for a Full License. Visit the DOL offices with up to $10.50 in fees (costs vary depending on your age) and trade your Intermediate License for a Full License. Congratulations! You now have unrestricted driving privileges. 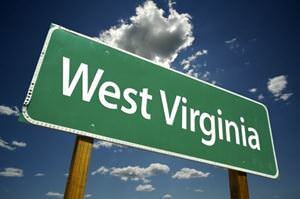 West Virginia has a zero-tolerance alcohol policy. This means that getting caught with alcohol in your system, even while you aren’t driving, can result in losing your license. You’ve worked hard to earn driving privileges, so be sure to make smart and responsible choices.